This funky styled rustic oval basket bag is fun yet practical too. With a set of long and short leather strap handles, it can be carried in the hand or over your shoulder, making it perfect as a beach bag, shopper or everyday tote. We love the simple rustic style! 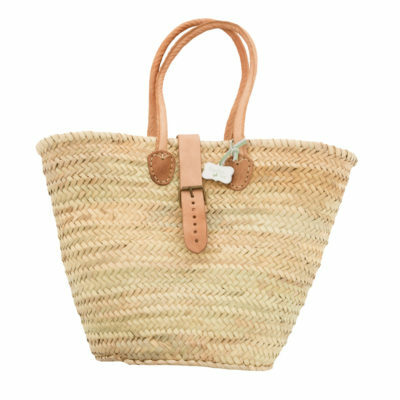 Made from hand-woven smooth palm leaves by skilled artisans.